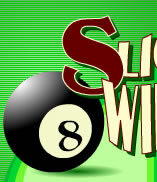 Welcome to Slick W- the home of Slick Willie's on the web! Quality entertainment in a quality environment is what Slick Willie's is all about, whether you're out with your friends or co-workers, or just need to unwind by yourself or with your family. Every one of our 8 locations in the southwest boasts a full complement of regulation sized pool tables, darts, foosball, video games and much, much more. Planning a party? Large or small, corporate or personal, our friendly staff can help you make any event one to remember. 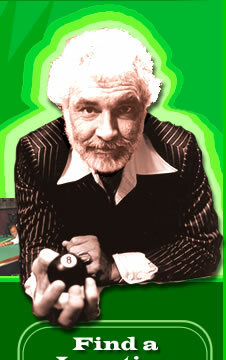 That's why we're America's family pool hall. All ages until 9pm. Under 18 accompanied by Parent or Guardian after 9pm. Full service bar with liquor, beer, wine, sodas, juices and water. 8 Locations in the Southwest! Food and snacks. Pizza, chicken wings, nachos, popcorn, and more. Pool Leagues and Pool Tournaments. Copyright ©2014 Slick Willies of America. All Rights Reserved.